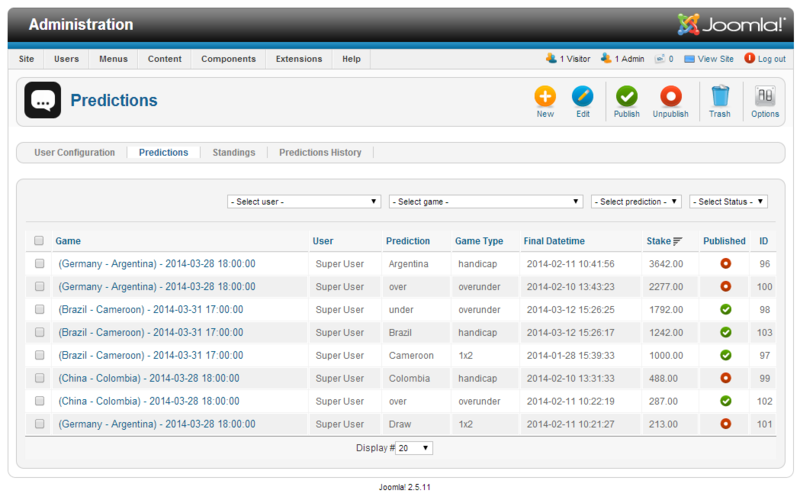 Asian Handicap is betting component for joomla with THREE NEW different games: 1X2, Asian Handicap and Over/Under. 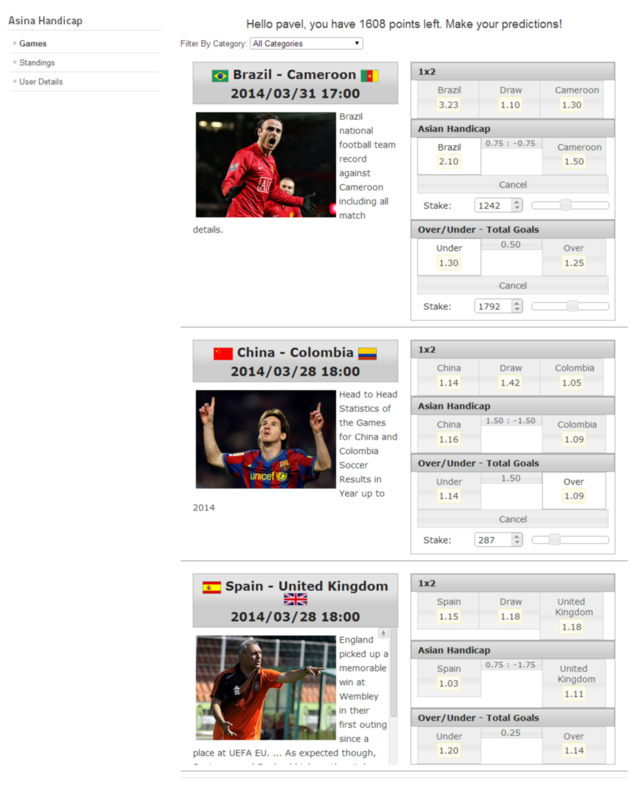 With our betting extension for Joomla you can make the Big Money, you can make real tipsters community, betting site or website with free games - all of this is possible. 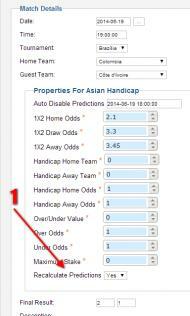 Asian Handicap is not stand-alone component, is additional component that extend functions of Sports Predictions For Joomla. 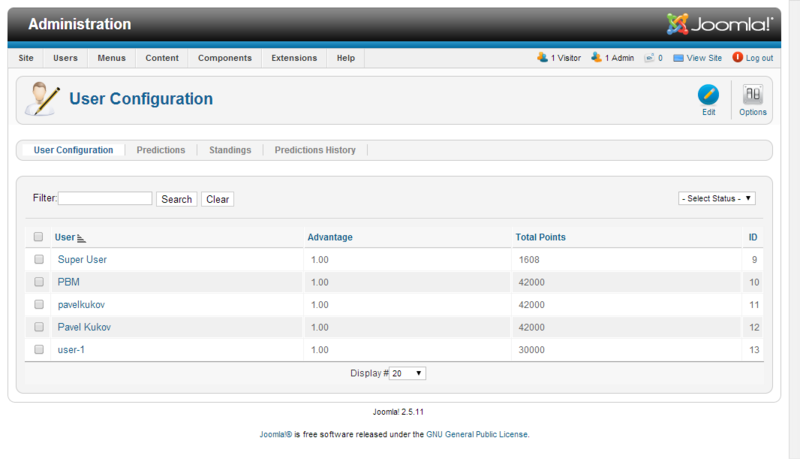 Only Joomla 2.5 is supported! 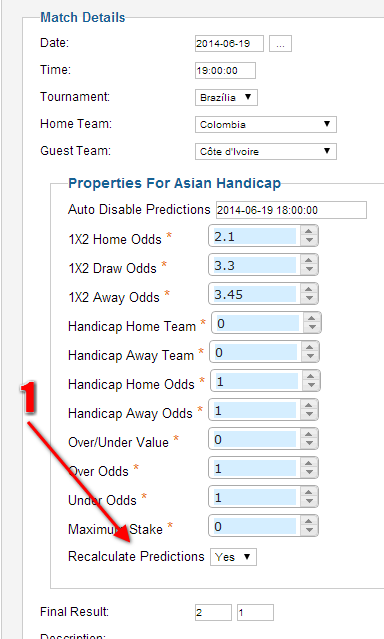 Latest Asian Handicap version is v.1.0.4, released on 24 June 2014. 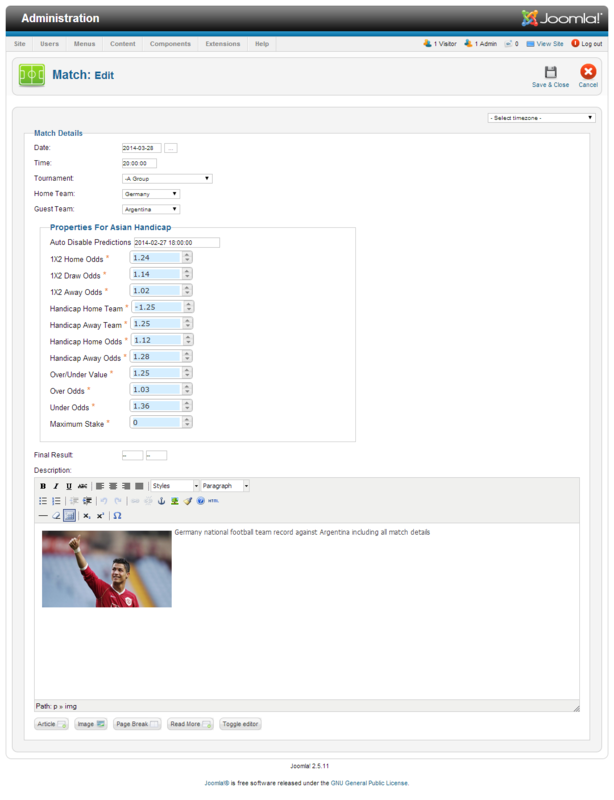 Sports Predictions functions and documentation. 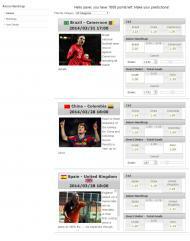 Guide: How to make money site with Sports Predictions. 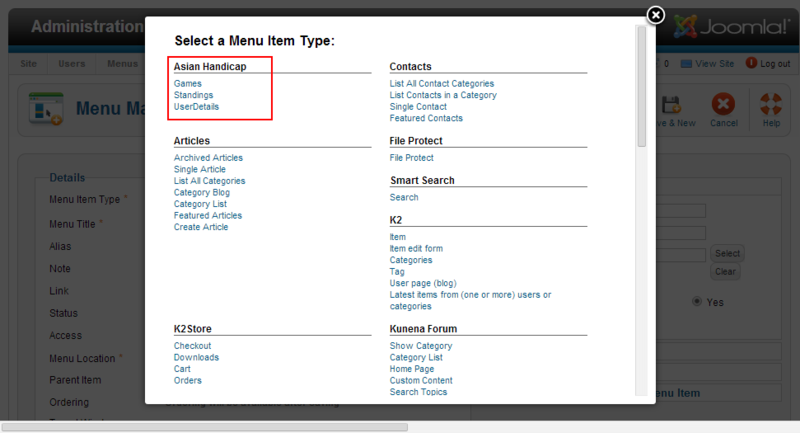 Full description of Asian Handicap component and Documentation are here: Asian Handicap Documentation, description of functions and support. 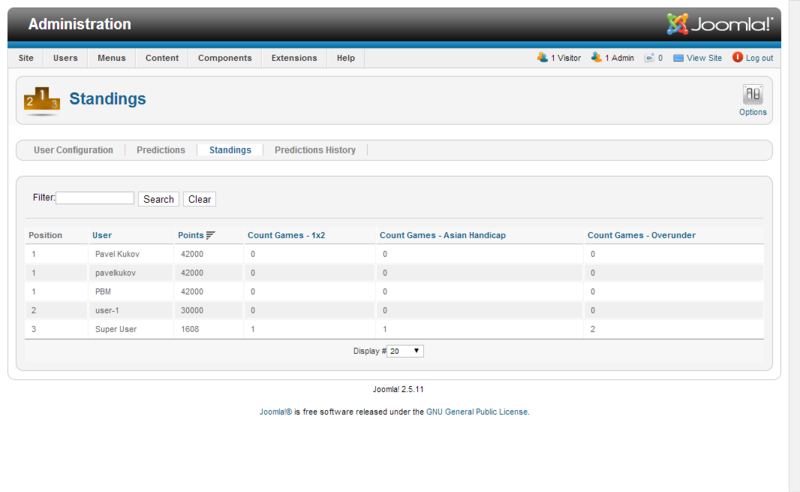 Sports predictions for Joomla 2.5 v.1.4.5 or higher. 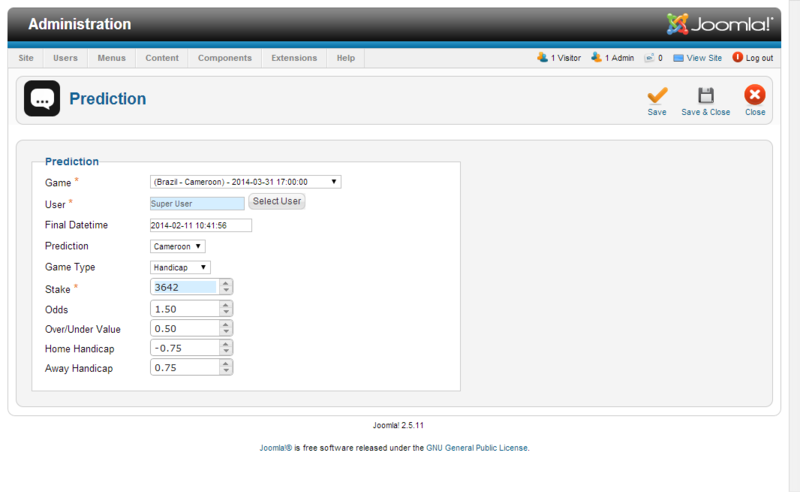 Php 5.3 or higher version. 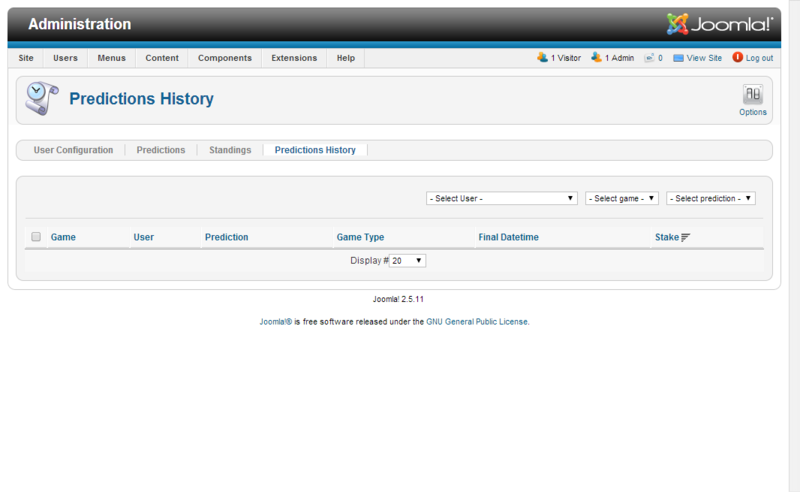 (Sports predictions for Joomla 2.5 is compatible with php => v5.3 with turned off error reporting). Ioncube loader. (Ioncube is free and installed by default on most shared host servers). 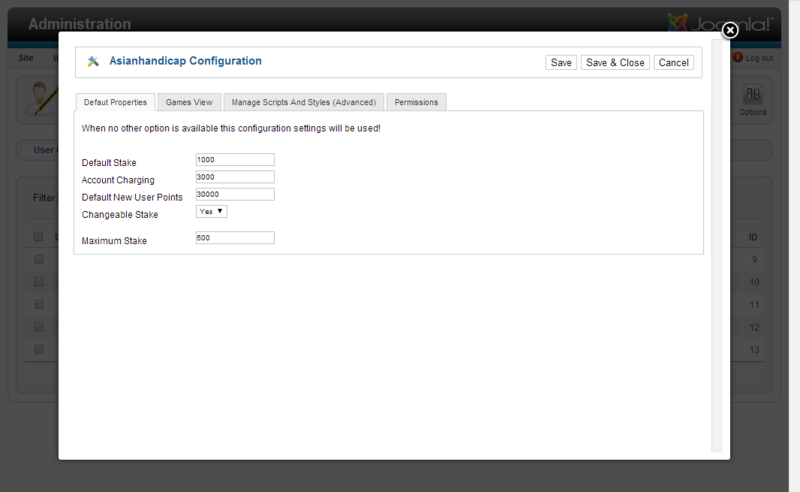 If is not installed, you may need access to htaccess and php.ini to install and configure it. How to install Ioncube guide. Price: 29 USD for ONE License. 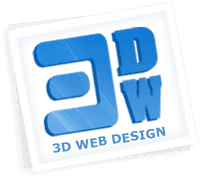 License is for 1 Domain name! 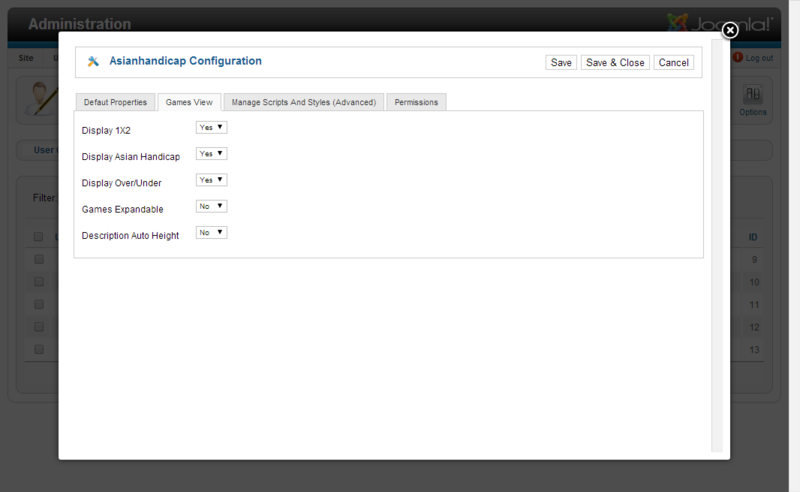 You can use our Component on single Domain and on all its subfolders and subdomains. Every license after first cost 10 USD.